A weekend itinerary in Minneapolis for our friend Angela’s birthday surprise. 1. 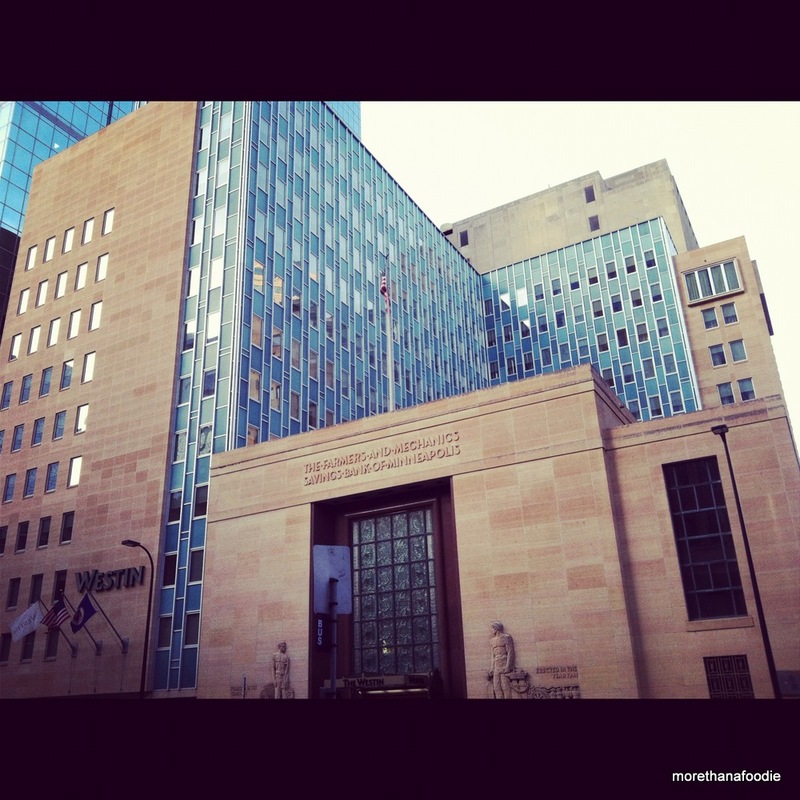 Westin Minneapolis – Located in an awesome former Farmers & Machinists Bank on 6th and Nicollet. This hotel is beautiful and offers great service. Some of the rooms are unique and huge due to the design of the building. Take the stairs up to see the view overlooking B.A.N.K restaurant. 2. Butcher & The Boar – House-made charcuterie & pickles. Amazing cocktail Bar. This place is top-notch on service and food. We surprised the birthday girl here and started the birthday weekend out with some great food. 3. La Belle Crepe – This tiny little spot served us up a decent and quick breakfast. Hot coffee and a variety of sweet and savory crepes. Oh, come for lunch and have some phở. Random! 4. Foshay Tower @ W Hotel – So there is this amazing Art Deco building in downtown Minneapolis in which Starwood Hotels turned into a W Hotel. There is also a great outdoor observation deck located at the top. A quick stop at the front desk and $8 per person, you are in for a bit of a history lesson and a great view from the top of the Foshay Tower. 5. 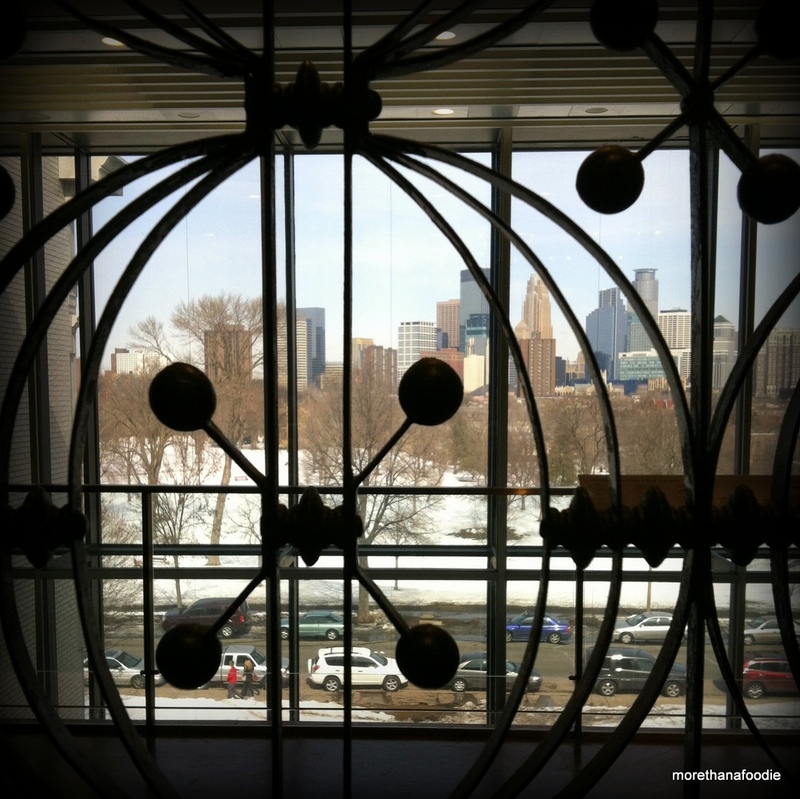 Minneapolis Institute of Arts – Located just south of downtown Minneapolis. A great place to view some amazing free art. I especially enjoyed the Frank Lloyd Wright area and the “head” portrait of “Frank” by Chuck Close. 6. Pho Tau Bay – Great and cheap Vietnamese food. 7. Grand Ave & Izzy’s Ice Cream – Grand Ave has a lot of small boutiques and shopping. However, when I am in this area I like to take people to Izzy’s for ice cream. Located on Marshall on the way back to Minneapolis from St. Paul. Home of the Izzy scoop. An extra scoop of ice cream on top of your scoop. The ice cream is amazing. Mmmm… Salted Caramel. 8. Gasthof Zur Gemütlichkeit – Da! German food in the Nordeast. An institution that you need to visit. The food is good and plentiful, but the experience is what makes you want to stay. “Ziggy Zaggy, Ziggy Zaggy, Oi Oi Oi!” Get ready to hold that German beer stein and party the night away at Mario’s bar just downstairs for some Polka! Gasthof Zur Gemütlichkeit – 2300 University AVenue Northeast, Minneapolis – Call for Reservations! 9. Red Stag Supperclub – Amazing biscuits, eggs Florentine, & grapefruit mimosa. A good place to stop in for brunch.